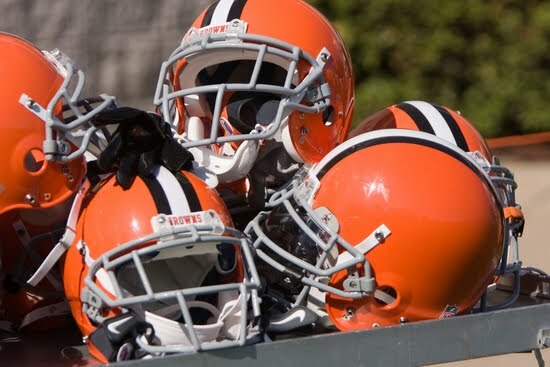 Browns general manager Tom Heckert wasted no time getting back to work, signing a reported 23 undrafted free agents throughout the day on Tuesday. The one positive we took from today is that Heckert and Co. obviously did their homework during the lockout. They knew which players they were going to target when the lockout ended and, once they had the OK, were able to move quickly. That leaves us confident the Browns will be prepared and strategic when the full free agency period starts on Friday. While the team can obviously use all the help it can get, Heckert has previously stated the Browns won’t be splashing cash around (see Charles Johnson’s six-year, $72 million deal with $30 million guaranteed as Exhibit A of reckless spending). It would be nice if the team found another starter for the defensive line and the secondary, but they can’t go crazy with the money – they have too many other holes to fill. We can dream about a cornerback duo of Joe Haden and Nnamdi Asomugha, but there’s no way the Browns are going to take up residence in that financial neighborhood – nor should they. While the team does have money to spend – and will have to spend some to get to the league-mandated salary floor – we’d rather see them spend the money and effort continuing to build depth and get younger throughout the roster. Tying up a huge chunk of your salary cap in one player just doesn’t seem prudent for this team at this time. It seems more likely that the Browns will look at the second-tier of free agents, players that are young enough to not command big money but with potential to improve – we’d rather the Browns pay players to perform for Cleveland, rather than pay them for the way they performed for their previous teams. One player we were interested in seeing the Browns pursue was Minnesota defensive end Ray Edwards, who is familiar with the 4-3 defense the Browns are going to start playing this fall. But then River Burns alerted us to comments Edwards made on Monday about NFL Commissioner Roger Goodell and we started to rethink out stance a bit. While we are all for the Browns defense picking up some feisty players on defense, we have to worry about someone who might be a knucklehead. It’s going to be an interesting weekend no matter what the Browns do. And until he shows us otherwise, we remain confident in Heckert’s ability to continue building the team.